Sponsored by Bridgestone, NZ Transport Agency, SurePlan and Suzuki, the awards recognise companies and individuals who have implemented successful initiatives, products or services to tackle fleet safety. There were seven categories of awards, including two new awards for 2018 – the Sustainable Journeys Award, and the Road Safety in the Community Award. Two individual awards were also presented to fleet professionals: the Road Risk Manager Award went to John Ireland, Fleet Manager at the University of Waikato; and the prestigious Outstanding Commitment to Road Safety Award was awarded to Geoff Duffy from Gough Group. 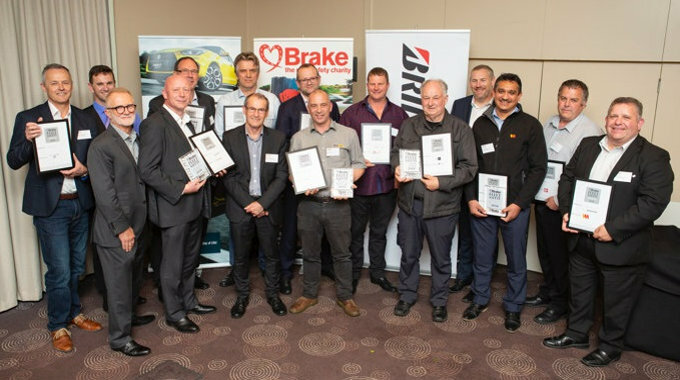 “We are delighted to have run our fourth Fleet Safety Awards, celebrating the great achievements of companies and individuals who are striving to make a real difference in the world of fleet safety,” says Brake’s New Zealand Director Caroline Perry. Bill Dyall, Bridgestone NZ says NZ Trucking Association – Safety MAN Truck’s excellent efforts make them a deserved winner of the Road Safety in the Community Award and will contribute a positive influence in improving road safety. Brake’s New Zealand division promotes road safety and campaigns against the carnage on New Zealand roads and also raises funds to improve support for families bereaved and injured in road crashes.